Russia's Prime Minister Vladimir Putin, who won Sunday’s presidential poll, stresses that all reports of election violations must be thoroughly investigated. 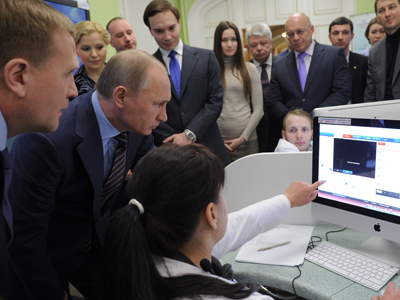 On Tuesday, Putin visited the Elections 2012 situations center in Moscow. 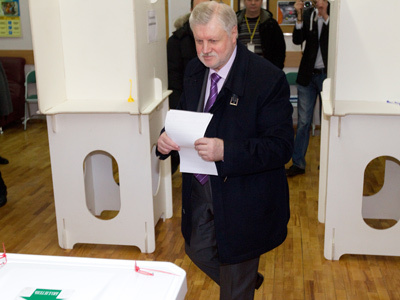 The head of government was shown how the March 4 voting process was monitored, and spoke with observers from the Corps for Fair Elections and with activists of the project Citizens for Fair Elections. “There were violations, naturally. All of them must be revealed, cleaned up, and made clear to everyone,” Putin said. He added that every complaint should be investigated and addressed to a relevant agency for further examination. “I trust the situation will be maximally controlled and monitored, so there is no mud,” Putin pointed out. For their part, the center representatives – mainly young lawyers – told Putin that far from all reports on election fraud were confirmed. All in all, observers received about 4,500 complaints in the two months before the vote and on election day. 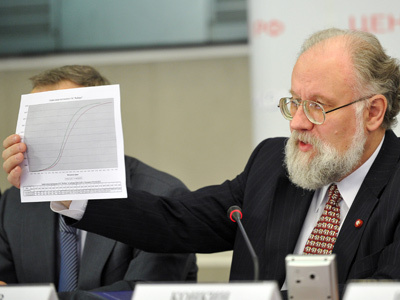 The monitors pointed out they were surprised at the number of statements about violations that were made by the Communists, whose leader Gennady Zyuganov took second place. His supporters, as well as representatives of other parties, were present at the center, “saying that everything is fair and clean,” Putin was told. However, once the election was over, the Communists began to complain about irregularities. “They are upset. Perhaps it's because of the election result,” the president-elect commented. The PM was also shown an interactive map that reflects the statistics and topics of all reports submitted to the center. According to the map, the majority of complaints in the section on the presidential candidates belong to Zyuganov. The KPRF chairman said earlier that he did not recognize the results of the “illegitimate” poll. 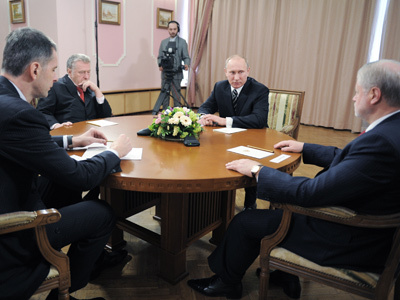 Zyuganov was the only candidate to ignore the meeting with the president-elect on Monday. “I believe neither Putin and his team, nor the country in general should be congratulated on this kind of election. That's because everyone loses,” the Communist leader told a media-conference. Putin's refusal to take part in debates, “forcing of results,” and “enforced” rallies bring nothing but humiliation to citizens, he added.